Steeplechase, The (film) Mickey Mouse cartoon; released on September 30, 1933. Directed by Burt Gillett. 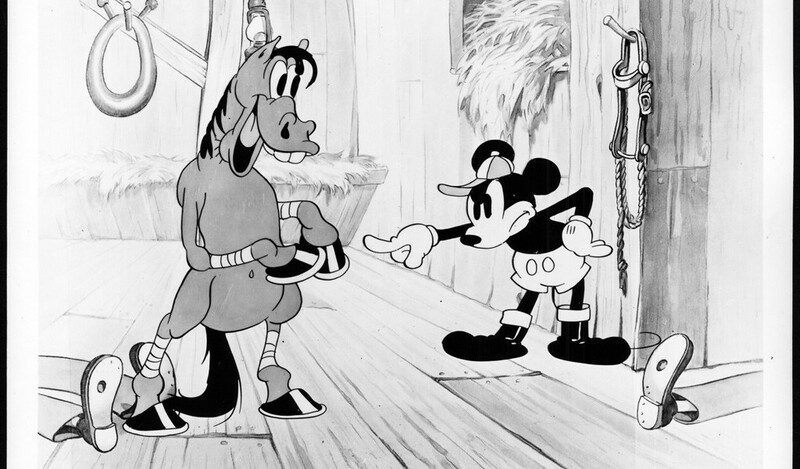 Mickey is a jockey getting ready for the big race when he finds his horse is drunk. Swiftly he has two stable boys dress up in a horse costume and manages to win the race with the aid of angry hornets.